The Glenorchy Open 2019 Art Exhibition was bigger and better than ever this year with more than 115 works of all mediums on display. Now in its 11th year, the annual art exhibition held at the Moonah Arts Centre (MAC), is open to all artists living or working in the Glenorchy municipality. The exhibition features work by established artists, emerging artists and students working in any medium including painting, drawing, print media, sculpture, installation, photography, ceramics, textiles, digital media and more. There really is something for everyone. The much-loved exhibition is a celebration of the creativity of the vibrant, multi-cultural Glenorchy community. First-time exhibitor Ked Osborne, from Moonah, was thrilled to see her painting Mesmerise in the exhibition. 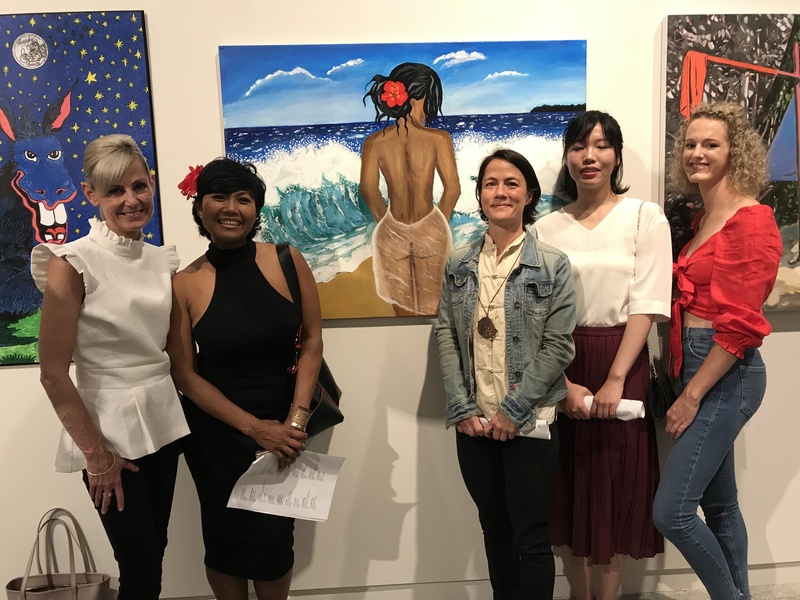 “My inspiration for this painting is from French Polynesia and I also love the sun, sand and ocean waves so the painting is partly reflecting me,” Ms Osborne said. “I am extremely grateful for the community for giving artists a chance to express themselves and to be involved in an exhibition like this. It is so important for emerging artists like myself to have these sort of community art exhibitions and I look forward to many more to come,” Ms Osborne concluded.